Lara Croft has pilfered quite a few mystical items and knick-knacks over the years. For archaeology of course, not for personal profit. Ancient daggers, ceremonial things and other such bric-a-brac have formed the basis of many a Tomb Raider game. But in the upcoming Rise Of The Tomb Raider, she won’t be going for something physical. Instead, she’ll be seeking out the secret to immortality. Which coincidentally, can also be found if you’re real nice to Dame Helen Mirren. 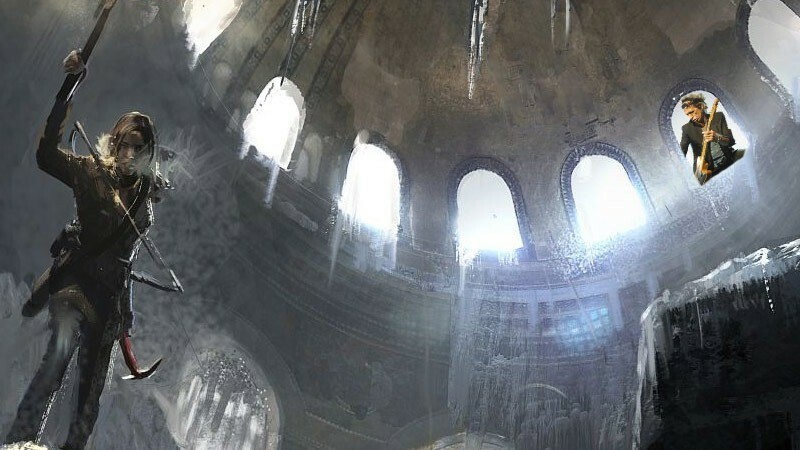 According to Game Informer, Lara will travel begin her quest by tracking an ancient and sunken city in the Russian frozen tundras, that vanished centuries ago. This journey ties into an actual myth that developer Crystal Dynamics began researching for the sequel to the 2013 game, setting up the game and its locations. With a Russian myth forming the basis of the sequel, that now meant that a new Russian landscape would have to be developed, pushing the team to work on new environmental effects such as snow and ice. “We wanted to put Lara into a whole new location, someplace that still fulfilled the goals of survival, but had a whole new look than Yamatai,” game director Brian Horton said to GI. When we did the research, we found a myth that would take us to the mountains of Siberia, and that just seemed like a really cool hostile place, which became a great foundation for our story and gave us a landscape that was new, and required a whole new set of technologies. What this also meant, was that the game would need to tie back into the supernatural side of the 2013 reboot, as Lara faced down an immortal spirit that had trapped her and her colleagues on the Yamatai island. It was an ordeal that forged Lara into a hardened survivor, and set her on the path of becoming the titular Tomb Raider of previous games. And by focusing again on the concept of immortality, Crystal Dynamics could start building her character up further. “One of the things I love about Lara is her determination, but at this point it’s grown into almost an obsession as she chases the secret to immortality across the globe looking for any clue that can validate what she’s seen,” franchise creative director Noah Hughes said. She’s almost on the end of her rope at this point in the story. Some of these myths are true across cultures. There are echoes of this myth everywhere. But she alone is the one who connects the secret to immortality to the lost city of Kitezh. It’s an interesting myth, that deals with purity, Mongol royalty and a city that vanished underneath the waters of time. And after I played the Definitive Edition of Tomb Raider last year, I’m pretty keen to see more of the new and improved Lara. Albeit on Xbox One, as timed exclusive. PC and PlayStation fans, will have to wait a bit longer before they get their turn at immortality.